The Public IP ZoneCD was a re-mastered variant of the Morphix CD. Public IP's ZoneCD was a bootable CD with a collection of GNU/Linux software pre-configured to create a WiFi gateway. The CD was a mini operating system with automatic hardware detection, and support for many graphics cards, sound cards and other peripherals. The gateway includes support for WiFi end-user authentication and web content filtering. Public IP ZoneCD was distributed under the GNU General Public License. Rate this project Eric Turgeon has announced the availability of the first release candidate for the upcoming stable release of GhostBSD 10.3: "GhostBSD 10.3 RC1 is ready for testing for the i386 and amd64 (including amd64-uefi) architectures. What has been fixed: installer ZFS mirror and zraid setup; installer custom partition problem; installer UEFI partition; installer /boot problem; 4k partition alignment; Network Manager long SSID name, slowness to open menu and icon tray crash. What has changed: Slim replaces GDM; ZFS disk encryption has been blocked and this feature should be available in GhostBSD 11. What is new: installer custom partition creation subjection; VirtualBox support, install at boot time if needed; full UEFI support. Known problems: keyboard layout after installation still US; Slim does not respect keyboard layout." Here is the complete release announcement. Interested testers can download the live DVD images from SoruceForge (pkglist): GhostBSD10.3-RC1-mate-amd64.iso (1,850MB, SHA256), GhostBSD10.3-RC1-xfce-amd64.iso (1,731MB, SHA256). 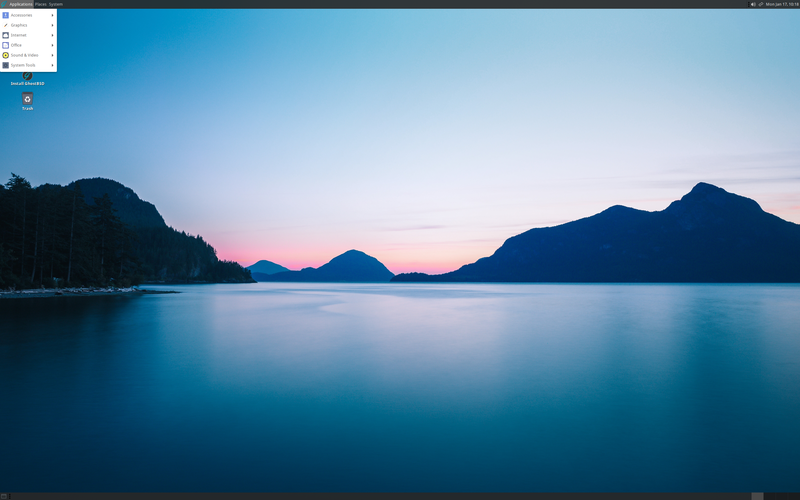 GhostBSD is a rolling release TrueOS-based desktop operating system which features the MATE desktop (a community edition that offers the Xfce desktop is also available). The project's latest release is GhostBSD 19.04: "Finally, GhostBSD 19.04 is out! GhostBSD 19.04 has several improvements from the volume controller to the installer, and for the first time, we did add and change some code on the base system. GhostBSD 19.04 is available with our official MATE desktop including the community Xfce desktop iso. This release is a significant improvement from GhostBSD 18.12 enjoy. What has changed since 18.12: Replaced slim by LightDM; updated the system to FreeBSD 13.0-CURRENT; added the supports of ZFS with MBR on the installer; removed TrueOS setting to default to ZFS which improved the installation of UFS; fix default mate-terminal setting; Added GhostBSD boot mute; added Refine setup on the installer; removed gksu; fixed UnicodeDecodeError: 'ascii' problem with Software Station." Further details can be found in the project's release announcement. Download (SHA256) (pkglist): GhostBSD19.04.iso (2,694MB, torrent), GhostBSD19.04-XFCE.iso (2,554MB, torrent).